Abdulmohsen Abdulaziz Al-Babtain Co. paves the way with the exciting launch of the first exclusive INFINITI showroom and Service Centre in Kuwait and the Middle East, giving all INFINITI owners a unique and luxurious experience. The new INFINITI showroom is conveniently located in Al-Rai area, marking the triumphant combination of form, function and brand identity. It is given a unique character with its sleek lines and artful luxury expression that fosters privacy and makes it a true masterpiece in the region. The indoor design elements embrace the artful expression of refined power, state of the art responsiveness and ownership experience. Artful shape and form express energy within rich material combinations representing art and technology, reason and feeling. Variable transparency and light create anticipation and delight and the generous scale stands for inspiration and comfort. Everything is designed to exceed customers’ expectations. 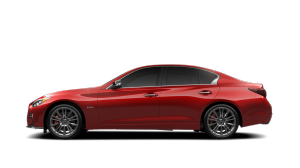 In addition there is a separate INFINITI service center, which is equipped with state-of-the-art equipment, offering express and reliable services to all INFINITI owners. 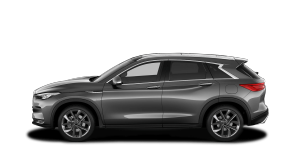 From the first moment customers enter the INFINITI showroom or service centre they will experience the sleek lines and appealing contours of luxury automobiles. The new gallery displays the entire range of INFINITI line-up in a setting that is truly unique. INFINITI has changed the world of luxury automobiles forever. In the United States the brand has grown to be a major player with a growing line-up of award-winning vehicles. The INFINITI Middle East lineup has now matched the US range. INFINITI is more than merely a company that makes cars. An organization rooted in a passion to create automobiles with significance beyond their physical presence. 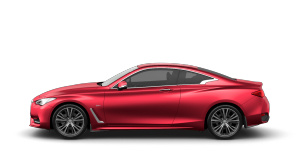 INFINITI is a globally recognized luxury auto brand with a unique vision – one that is bold, vibrant and distinctive. 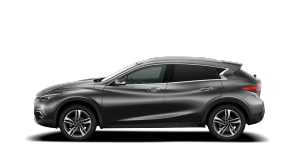 INFINITI makes a more personal statement designed to attract buyers with a similar vision, buyers who thrive on experience rather than status alone. 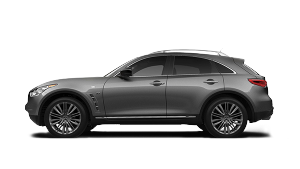 There are two words at the core of INFINITI’s distinctive identity: graceful strength. Graceful strength is multi-dimensional. It describes a rich, deep, authentic experience in both performance and refinement. 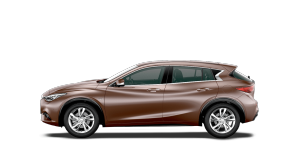 Market share is growing at a double-digit rate annually, reflecting a worldwide surge in Infiniti popularity. Indeed INFINITI revealed exponential growth of 200% in September 2007 over the same period in the previous year which is considered as a brilliant achievement by Infiniti. INFINITI was introduced in the United States in 1989. Since then sales have consistently grown. The company’s logo is a stylized highway infinitely heading towards a distant horizon, as well as a modified infinity symbol. 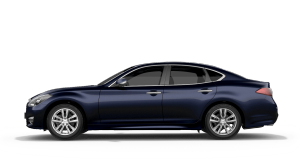 INFINITI began to take part of the luxury market.mostly thanks to its popular Q45 model. The vehicle included a class-leading (at the time) 278 hp V8 engine, four-wheel steering, the first active suspension system offered on a motor vehicle and numerous interior luxury appointments. 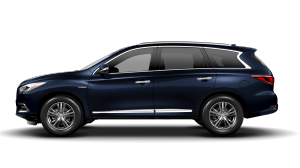 In 1997 INFINITI released the QX4, being the first maker to offer a mid-sized luxury SUV. Like a traditional SUV it was based on a truck platform which gave it a competitive edge against competitors for its off-roading abilities. In 1999 INFINITI reintroduced the G20, a compact sporty sedan whose production was halted for 1997 and 1998.
luxury sedans, coupes and SUVs the INFINITI dealer body has kept pace not only in number but also in the ability to maintain INFINITI’s legendary attention to customer satisfaction while serving many more models and customers. Today the INFINITI global network includes more than 230 dealers in fifteen countries including Abdulmohsen Abdulaziz Al-Babtain Co., the sole distributor of INFINITI in Kuwait. INFINITI was launched in the GCC in 1996 with six dealers. Abdulmohsen Abdulaziz Al-Babtain Co. opened the first IREDI showroom in the Middle East on March 2008. 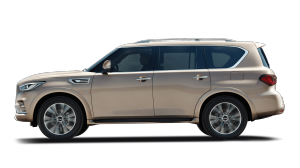 INFINITI, is one of the fastest growing luxury auto brands in the Middle East, continues to set the bar in the luxury segment with its strong-selling line-up that has grown significantly with the introduction of new 2010 stars. The luxury range comprises of the new INFINITI models that are elegantly showcased at the exclusive INFINITI showroom in Al-Rai. • INFINITI is one of the fastest growing luxury auto brands in the region. • INFINITI has opened the second IREDI [Infiniti Retail Environment Design Initiative] in Kuwait after Seoul. • INFINITI introduced the world’s first AVM Technology [Around View Monitor].